Where Else in the World but Louisiana Would You Find a 3-Day Celebration Totally Devoted to Crawfish? 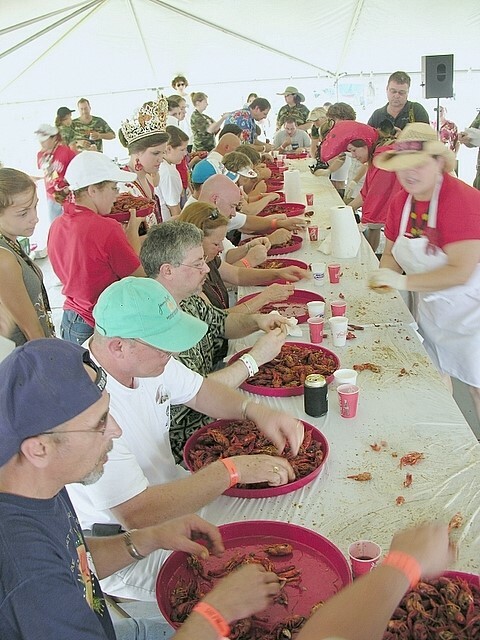 Every year on the first full weekend in May, thousands congregate in Breaux Bridge, “Crawfish Capital of the World,” to pay tribute to the little crustacean we all know and love. 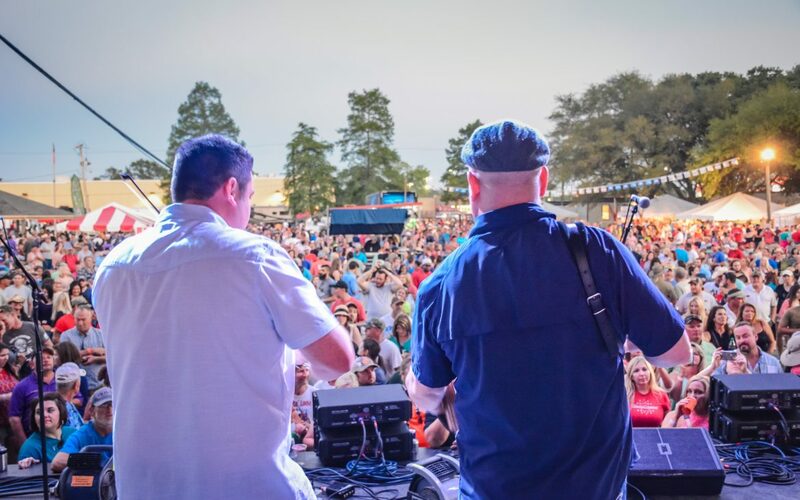 The Breaux Bridge Crawfish Festival celebrates Cajun culture with a crawfish eating contest, Cajun and Zydeco dance contest, crawfish étouffée cook-off, crawfish race and an unparalleled lineup of Cajun and Creole bands. We have 30 of these bands playing all weekend long on three different stages! Savory flavors of the South are celebrated with our delicious selections of Cajun cuisine because Cajuns know how to celebrate food! 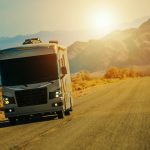 Find the best entrees like Crawfish Etouffee, Fried Crawfish, Crawfish Boudin, Crawfish Po-Boys, Crawfish Spinach Boat, Crawfish Jambalaya, Crawfish Pies, Eggplant Crawfish and Shrimp Jambalaya, and of course, Boiled Crawfish. We have numerous other delightful dishes to tease your taste buds. Don’t miss our contests! Race your crawfish at our World-Famous Crawfish Races, enter the Crawfish Eating Contest (you’ll have to eat over 55 pounds to break the record!) or show off your culinary skills at the Crawfish Etouffee Cook-off. 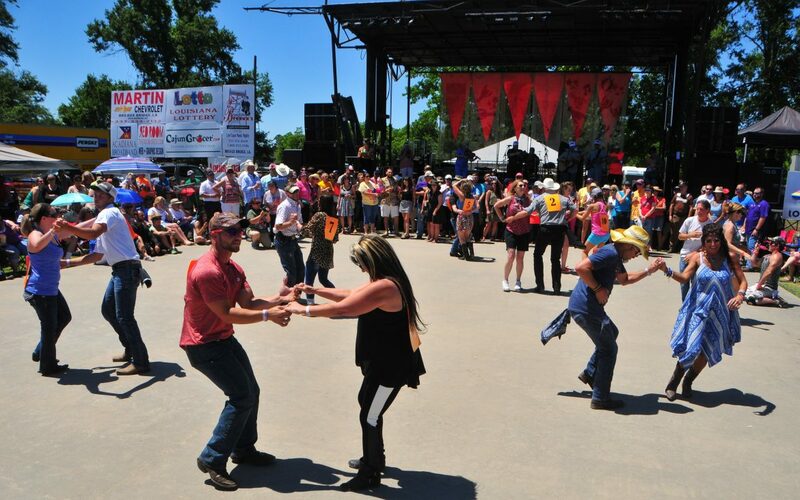 Two-step over to our Cajun Dance Contest or glide into our Zydeco Dance Contest. Grab your lawn chair for Sunday’s Parade where we highlight our Royalty and locals who compete for the best float prizes. For the perfect Crawfish Festival Souvenir, you can shop ’till you drop at the over 75 booths in our Arts & Crafts and Commercial Vendors Area. Make 30,000 new friends at one of the biggest parties in Cajun Country. 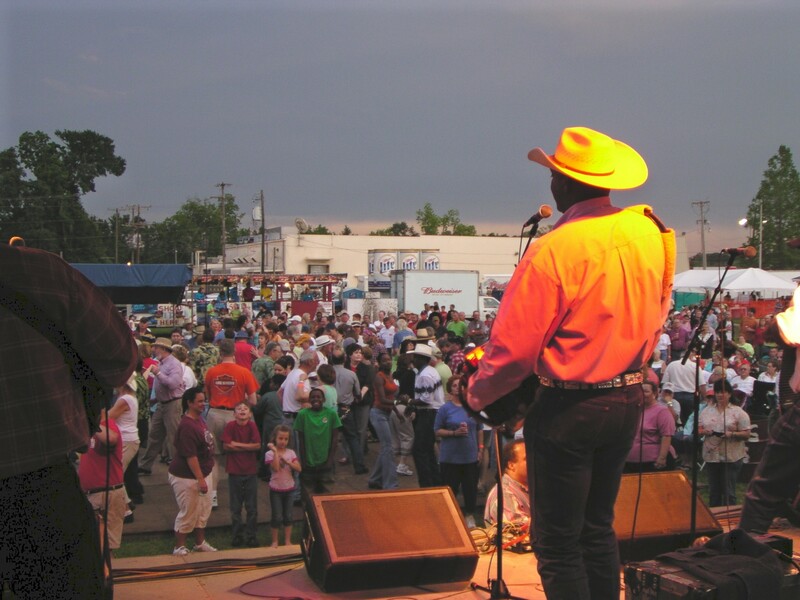 If Cajun or Creole music excites you, there’s no better place to experience it than at the Breaux Bridge Crawfish Festival!